Elam - also known as Susiana - was a region in the far west and southwest of what is now modern-day Iran, stretching from the lowlands of what is now Khuzestan and Ilam Province as well as a small part of southern Iraq. Its capital city was Susa. 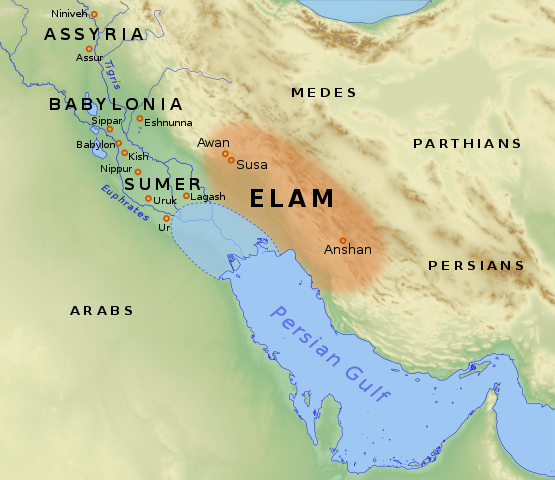 In the Bronze age, Elam was the center of the important Elamite civilization. Its culture played a crucial role during the Persian Achaemenid dynasty that succeeded Elam, when the Elamite language remained among those in official use.